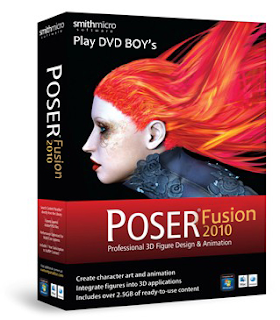 Poser Fusion for Maya, 3Ds Max, Cinema 4D allows you to open your Poser files in your preferred application.PoserFusion will allow you to import Poser’s textures and animations and integrating them in your flows of work. PoserFusion seamlessly integrates Poser Pro 3D character animation technology into Autodesk 3ds Max. 3ds Max artists can now use readily available Poser content and pre-rigged characters to easily create Poser animations and play them back within 3ds Max. Tapping into the vast community of available Poser content, instead of creating content from scratch for 3ds Max animations speeds up your production time dramatically! Create your own animations in Poser or use Poserâ€™s automatic walk designer, and your geometry will animate and playback within 3ds Max. Make changes easily! After adjusting shaders or making additional modifiers in 3ds max, you can still go back into Poser to change a figureâ€™s position, the changes automatically update in 3ds Max! 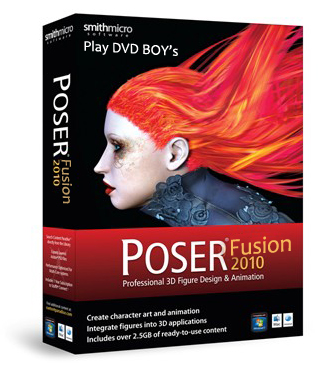 With PoserFusion, Poserâ€™s dynamic hair and cloth will playback in 3ds Max. Instead of reloading your entire 3ds Max scene, you can just load the updated changes from Poser.